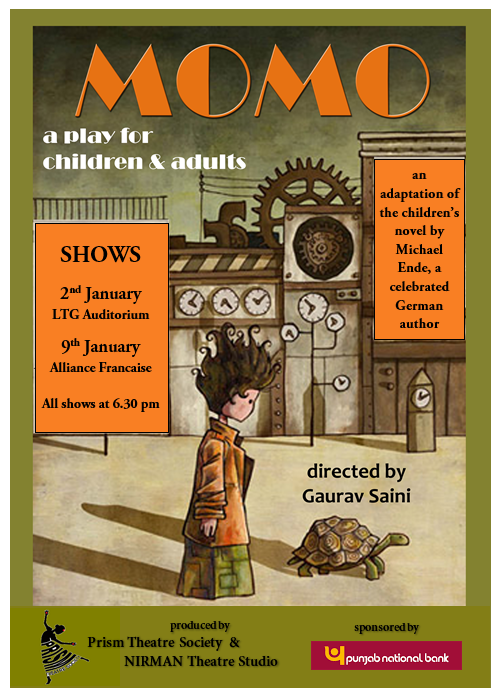 Momo is a play for children and adults, adapted from the children’s novel by Michael Ende. The play was jointly produced by NIRMAN Theatre Studio, Varanasi, and Prism Theatre Society, Delhi. It was performed in Delhi in January 2016, at LTG auditorium and Alliance Francaise.